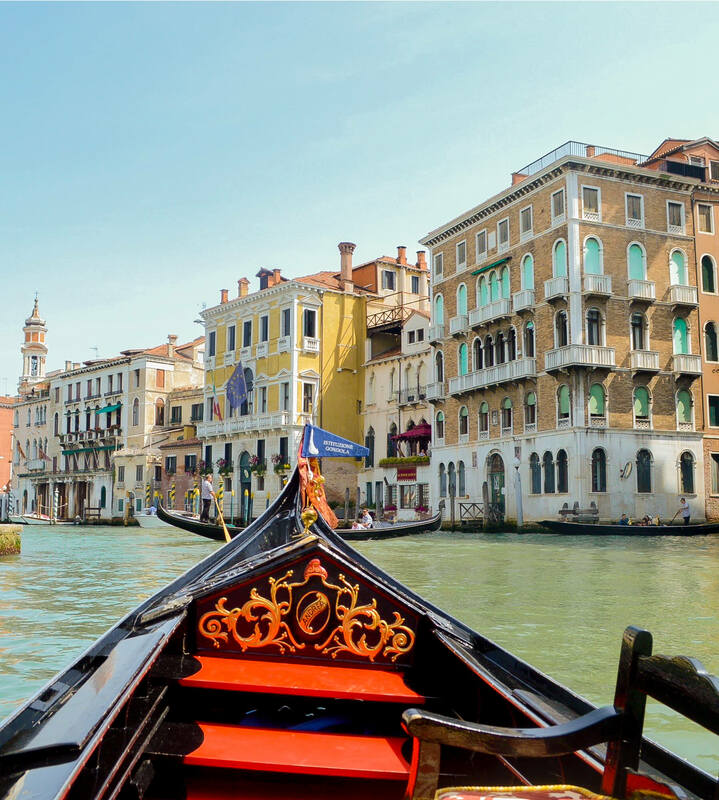 Venice – the city on water – is a city so unlike any other in the world. It’s a place where travelling by car is simply non-existent. A place where history is still incredibly rich. And a place that is as close to a literal maze as you can possibly get. 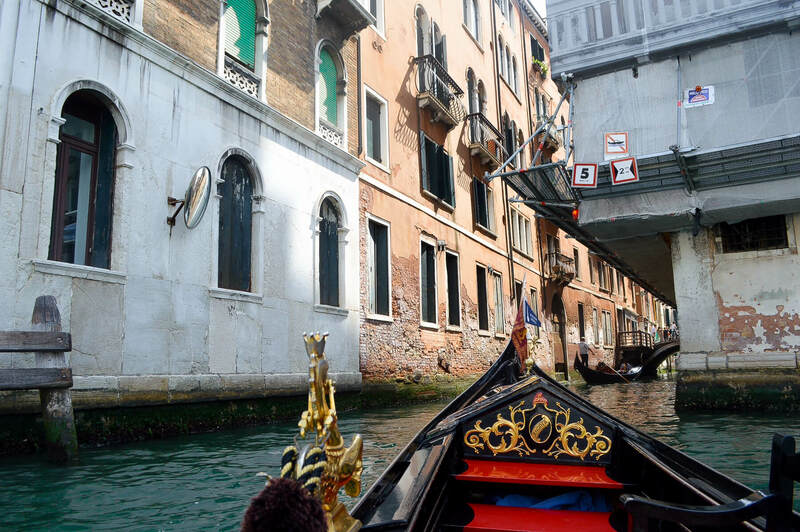 You can’t go all the way to Venice and not take a ride on a Gondola! The stripey shirts, red hats and beautiful boats make you feel very immersed in the Venetian culture. Considering there aren’t any roads in this beautiful city, it’s amazing to see how to locals would – and still do – manoeuvre around their home. Saint Marc’s square is possibly one of the most touristy locations in the entirety of Venice. Although that may not be very appealing to everyone, if there’s one thing you must do in the area, it is definitely to climb to the top of the San Marco Campanile. The bell tower is one of the most recognizable symbols of the city, which will give you beautiful views of the area when at the top. Lido di Venezia is a somewhat unknown gem of Venice. Lido is a 7-mile sandbank just south of Venice, which is home to around 20,000 residents. The sandbank acts as a bit of barrier between the city and the Adriatic Sea, whilst also being the perfect contrast from the often busy city life. Boats depart every 20 minutes from various locations around the city, making it very easy to get to if you’re on a time schedule. The most well known, photogenic and beautiful bridge in the city. It’s also the oldest bridge whose construction began back in 1588. You really can’t miss this one! For more info, don’t forget to check out this list from Deexterous, of more amazing landmarks and places you mustn’t miss in Venice! 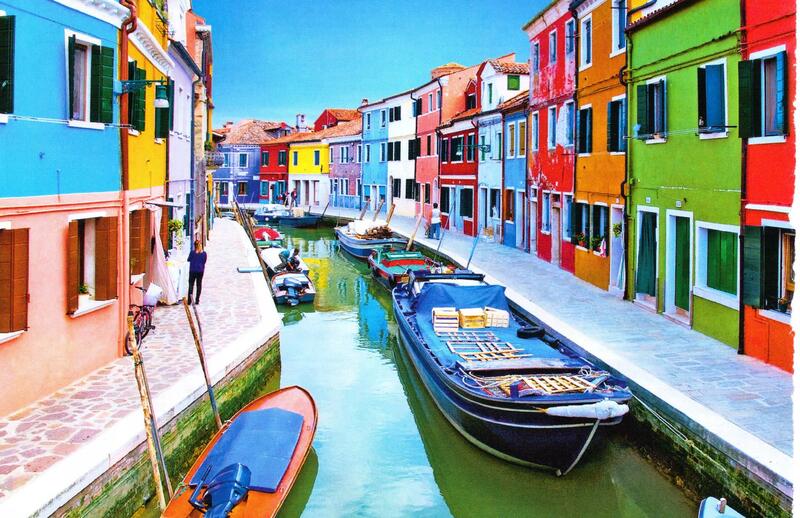 Unfortunately, I was unable to visit Burano on my visit to Venice, and I am very gutted about it. This small 21-hectare island is within the Venice lagoon, and much like Venice itself, it’s constructed by 4 tiny islands connected by numerous bridges. The brightly coloured buildings make Burano one of the cheeriest islands in Europe. I mean, who could be sad walking around here? The city of Venezia turns into a different place at night. The glow of the lights shine on the canal waters, buskers fill the streets in the bid to serenade, and even when the sun goes down the canals are still very much alive. It’s a beautiful experience, to say the least. Although there are a lot of gimmicky stores that are entirely aimed at tourists, there are also numerous that seem as though they have stood the test of time. One that stands out the most, is Libreria Acqua Alta, a bookstore that you’ll find incredibly beautiful regardless of your interest in literature. There are so many others around the city that you may stumble across unintentionally, and those are the ones you’ll definitely have to explore. This carnival runs annually in the 2 weeks that lead up to Lent (the end of February). Carnevale di Venezia is a beautiful festival that fills the canals with charming costumes, Venetian masks and an all-around ecstatic atmosphere. Masquerade balls, candle-lit parade, concerts, and street performances are available during the carnival, with some being available free to the public. If you’re in the area during this time, why not get involved? I think it would be pretty hard not to! Speaking of Venetian masks, they make a pretty great souvenir to take home too! If they somehow don’t tickle your fancy, why not get your hands on Murano glass or a Gondolier hat? There are many shops that will provide you with a trinket that will remind you of this incredible city on water! 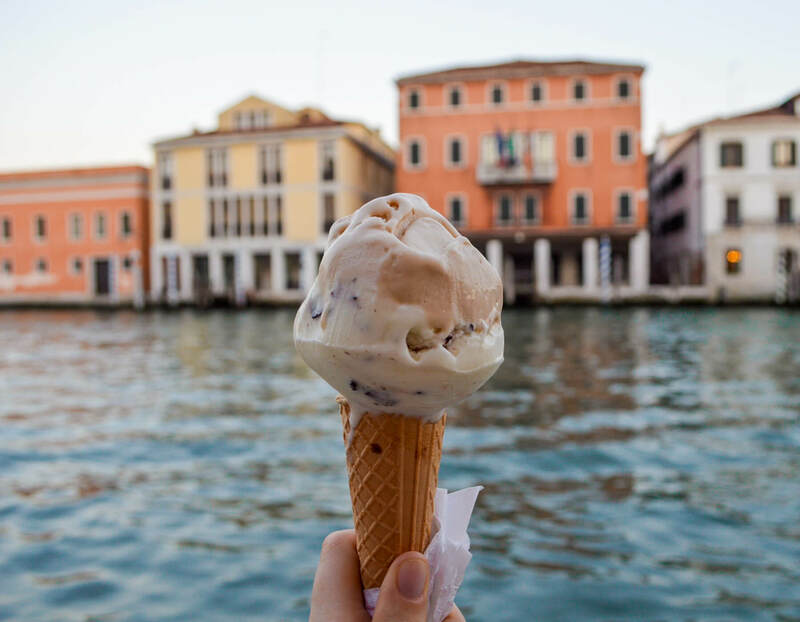 Nothing beats Italian gelato. No really, nothing does. They make the best ice cream you’ll ever have in your life. 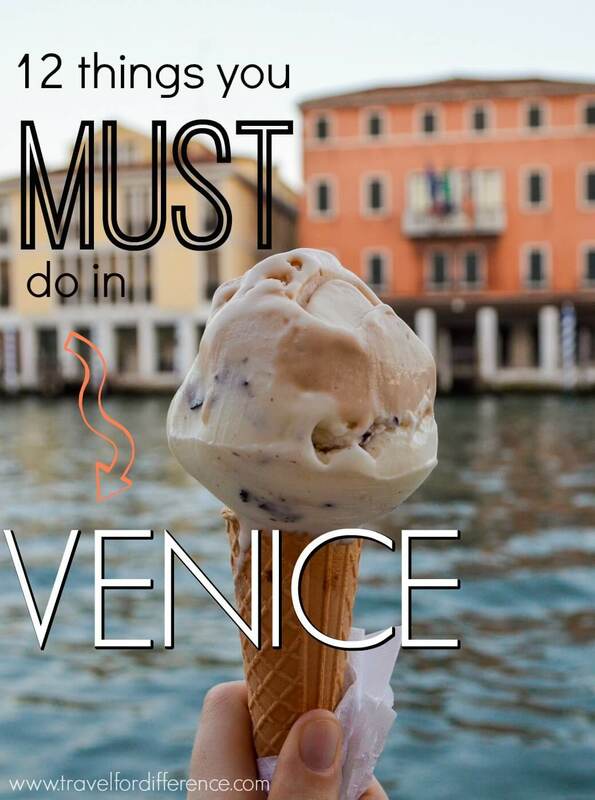 There’s really nothing more I can say except, if there’s one thing you must do in Venice… It’s to eat all the gelato. I had some of the best Italian food when I was in Venice – if it’s even possible to have any food in Italy that’s better than any other. There are so many locally styled restaurants around the city that make you feel as though you’re a real Italian – and of course – the food is bloody delish too. You’re in Italy for goodness sake, enjoy all the carbs! It’s really not hard to get lost in Venice, and exploring the hidden corners is all part of the fun! If you’ve been to Venice, what is that you enjoyed the most? You’re right! 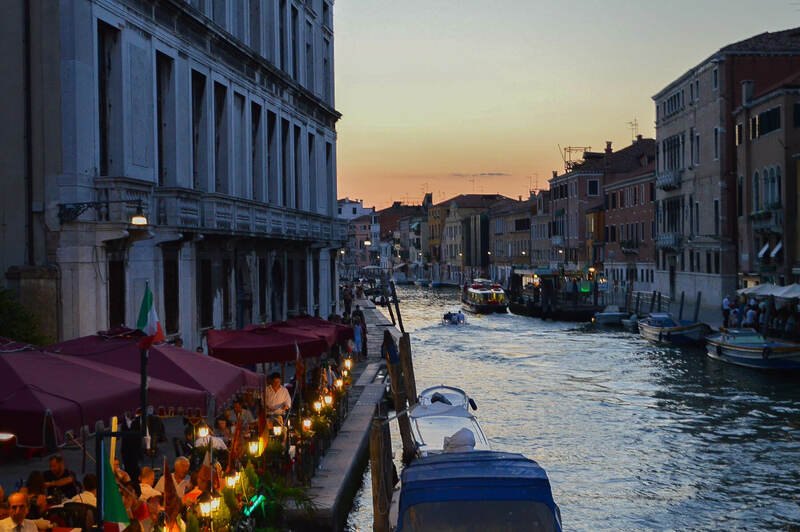 Getting lost in Venice is basically inevitable, and that’s all part of the fun! ??? ?